3M� DBI-SALA� Long Safe Buckets make transportation of scaffolding, materials, and longer equipment both easy and safe, and more effective than hand-to-hand transportation or using rope with hitch knots. 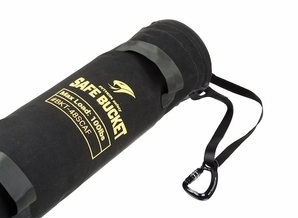 Long Safe Buckets feature a hook and loop closure system that helps mitigate accidental drops. A heavy duty webbing hoisting strap comes with a built-in twist-lock aluminum carabiner for lifting. Constructed from a heavy duty canvas material that is suitable for harsh work environments.